Amy was born and raised in a rural community in Ohio. Both of her parents were full-time realtors since the early 1980’s. She had lived most of her childhood and teenage years learning about real estate from her parents. In 1991, she obtained a paralegal degree and worked in the field of law for approximately 15 years. This enabled her ability to effectively write real estate contracts and understand the laws surrounding real estate transactions. She has been a full-time real estate agent in Marshall County since 1995 and obtained her Associate’s Brokers License in 1997. 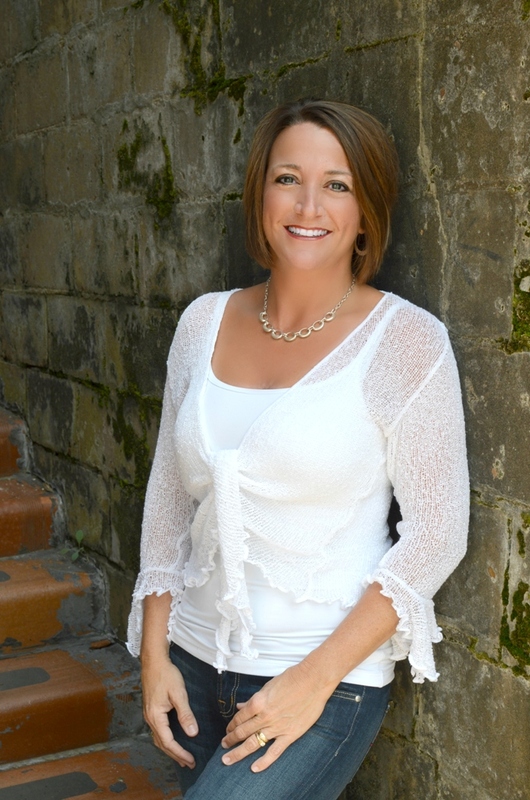 Amy is an energetic individual who understands the importance of providing exceptional service to her clients. When Amy is not working with buyers and sellers to find their next dream home you can find her with her family enjoying activities such as vacationing, boating and shopping. None of this would be possible without you. You have been a cheerleader and super professional and a sweet friend!!! Your patience and positivity are what has made this process endurable. You held our hands and pulled us through! We are so thankful and so grateful to you and all you have done to make our dream a reality! We love you! Amy is a real professional who communicates with her clients in a positive manner. She is creative in her advertisement endeavors and is a step ahead of most other agents. If I have a house for sale, give me Amy! Great Experience!!! Wonderful job!! Amy is very punctual and caring with her clients!! I have worked with Amy twice. On the first house someone outbid me. Two years later I was again looking for a lake house, and Amy was our realtor. She has gone above and beyond on both of our experiences, and we were able to purchase the second one. If you are looking for an excellent Realtor it is Amy. Professional, knowledgeable in real estate transactions, pays attention to details. Our purchase here in Alabama went so easy due to the way Amy handled the transaction. Amy was great to work with. She took into consideration all of my wants and needs for our house. With Amy's help we were able to find the perfect home for my family at fair value. I would definitely refer my friends and family to Amy. Amy was amazing! She listened intently to what I wanted and she went out and found it. Along the journey, I never once felt like she was trying to sell a piece of real estate. But, I always felt like she was trying to help me find my dream property. Once we were under contract, she went above and beyond to get the deal close. As if that was not enough, when I was running late, she met the movers and started placing furniture. She went above and beyond in representing me and I would not work with anyone else! I cannot say enough good things about my experience with Amy. If you need a reference, have her give you my number! Amy makes you feel very special and goes above and beyond to make the experience of purchasasing a new home wonderful. Amy is both professional and personable. She made searching for our new home an absolute pleasure. She listened to our needs and wants and truly delivered. We love our new home. We would recommend Amy to anyone looking for a special place of their own in the Guntersville mountain lakes area. Amy is an amazing realtor! We were referred to Amy by a friend. She called me and we talked about what we were looking for, and our price range and she went to work that day. We were trying to find a house before we got married, and up until the day we found Amy we thought we would never find one. We were so nervous that we would have to reschedule the entire wedding. Amy became our realtor and our friend. She gave us both words of encouragement when she knew we were scared to death. She found us the home of our dreams, and we had plenty of time to decorate and move in before the big day. She even helped us understand every detail since we had never been through the home buying process before. She went above and beyond to make us happy. We still receive cards and emails from her. We will definitely use Amy again one day! Of the four properties we have purchased over the years, Amy was by far the best agent we have dealt with. We explained what we wanted and within a week of our first meeting we found a property that exceeds our expectations. She very effectively dealt with the seller's agent in getting us a deal that both we and the seller were very happy with. We were most impressed with Amy's honesty and character. She was forthright in making sure every detail was taken care of before, during and after the sell. We had complete confidence that Amy had our interests at heart and have become even more aware that she did even a year after the purchase. 'Excellent Character' was demonstrated at every turn, even when the deal may have fallen through because of it. She is definitely a person who puts her customers first and her bottom line second.